Looking for best books on product management? 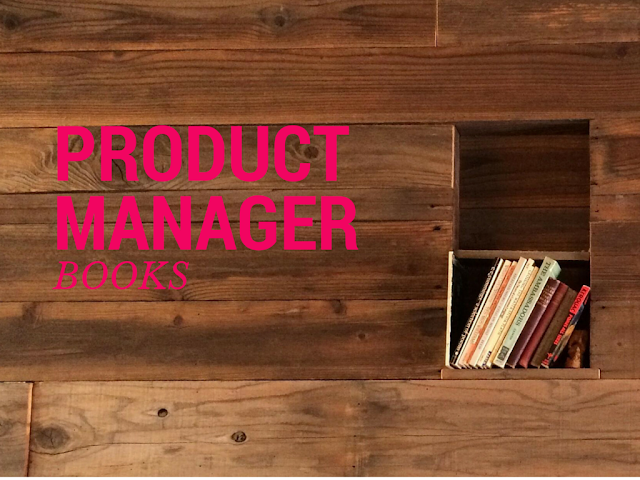 We have compiled a list of best books for product managers. (By: Brian Lawley, Greg Cohen, Laura Lowell ) This is one of the best product management books. The book provides strategies and information related to Product Management and Product Marketing experience with Apple, SAP, Yahoo, Intuit and eBay, collected from the experience of 40 experts from across the world. The book helps to provide information about how to focus on market needs, requirements, clarifies product positioning, provides guidelines to align product strategy and get execution. The book suggests a number of strategies to built capabilities and helps to understand the key roles involved in product management. (By: Marty Cagan ) The book is a popular products management resource providing a number of immeasurable traits and points of distinction between products management and products marketing management. The book provides every aspect of product management and involves chapters explaining the challenges faced by a startup-company in engineering. It basically provides many blog posts and gives explanation of most of the major topics of product management. (By: Steven Haines) The book provides best practices and list for effective products management through a number of diagrams, templates and tables. It helps to create strategies, get decisions and helps to apply financial techniques to improve product profitability. The book provides guidance into leadership, decision making and cross functional teams. It provides executives summaries, set of questions and suggestions which are helpful to a product manager. (By: Greg Geracie) The book provides story like description about project management, tips on taking charges, growth stages, and it presents the project manager’s job in a revealing manner. It provides vision and instructions to help you to succeed as a product manager. Moreover, it provides user friendly directions, commentary, advice, tools and techniques to improve corporate vision and to get effective project management. (By: Greg Cohen) The book is very easy to read and provides suggestions and processes to operate Agile development programs. It covers all the needs of Product owners and also covers various implementation techniques, comparison and impact of implementation. It is recommended for getting quick and concise information on Agile Implementation and Scrum. The book helps to compare implementation of Scrum and XP. (By: Roman Pichler) It is a 118 page book providing several practical guidelines and solutions on project management. It is a great help for beginners into project management and it provides understanding of product owner’s role, helps in envisioning the product, grooming product backlog and it helps to plan the release and transitioning into product ownership. (By: Michael McGrath) It provides in-depth information about core strategic vision and market platform plan framework. It provides case studies useful for high technology platform, and gives concise and systematic method of handling the subjects related to product management. It also provides examples to explain the failures of products strategies. (By: Linda Gorchels) The book provides extensive information about market and customer analysis, design branding strategies, establishing prices, targeting current and new markets, developing new products, managing existing products and mature products, and working effectively with operations, sales and in-research fields. It provides great resources for beginners but it may not provide very specific and extensive information on one topic of product management. Additionally, it contains a number of charts, case studies and checklists for providing comparative information. (By: Rich Mironov) The book provides generic knowledge about product management, balancing the position of product manager, sales and engineering. It explains defensive processes and guidelines for bureaucracy required by a product manager. It also serves as a great collection of essay, stories and is useful for mid - start product manager. A product manager has to manage a number of activities, departments and provide tools and information to meet the requirements of various departments in an organization. The above given list of books helps a product manager to assess the requirements, situations and handle the various circumstances efficiently. Hope you found this list useful! What are the best books you have read? Please don't forget to share with us in comments. This is an interesting list. Some descriptions sound really tempting, and I'll definitely check those books out. Since product management is often connected with project management, I wanted to share a list of helpful books for accidental project managers: http://www.wrike.com/blog/5-Best-Project-Management-Books-for-Beginners-and-Accidental-Project-Managers It's not that easy to find a book that would be both insightful, easy to read and practical. Preparing our list, we tried to find ones that would combine all these qualities.